Bacon! This one is for all you bacon lovers out there. After coming across a couple of bacon related products, I just knew I had to do an entire post around those. And there are some weird bacon things out there… I like bacon, but I’m not sure I like it quite this much. If you’re interested in my other Christmas Gift Guides, check out the gift guides for The Fantasy Reader and The Gamer Girl. 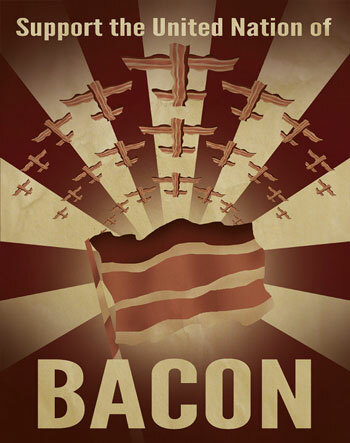 Show your loyalty to the Bacon Nation with this propaganda poster from etsy store Justonescarf. I love the description for this product: “There’s conclusive, scientific proof that bacon is an intellectual food. It’s right there in the periodic table! Barium, cobalt and nitrogen. BA CO N. Read it and weep, bacon haters. This pillow makes it very clear that you’re not one to be trifled with when it comes to the ultimate food. 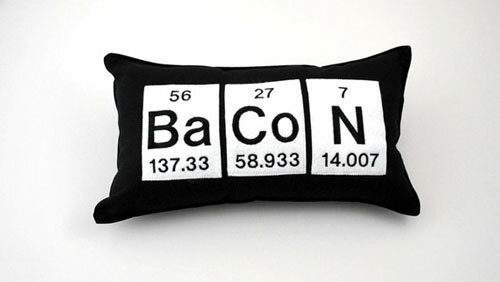 Show your brainpower and bacon-lust in one easy decoration!” It’s $35 at YellowBugBoutique. 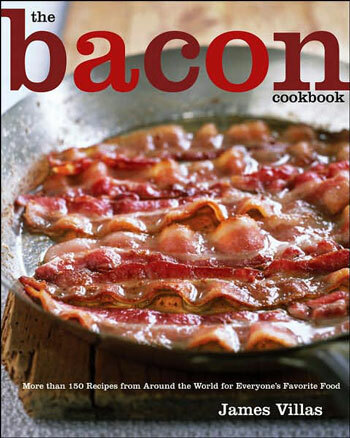 Ooh, more than 150 recipes with bacon? At first glance this looks like quite a gimmicky book, but the recipes actually look pretty decent. It’s £15.59 on Amazon. “I love the smell of bacon in the morning”. 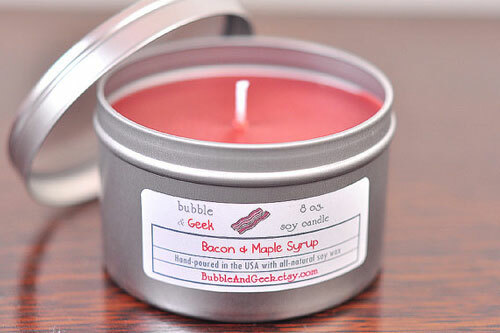 Never go without it with this candle from bubbleandgeek ($9.25). Which girl wouldn’t want to wear knee high socks like these? They’re $10 on SockDreams. 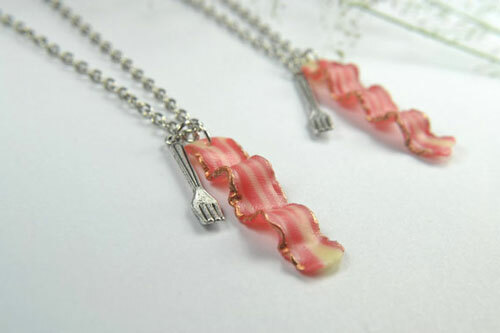 A necklace with a strip of bacon AND a fork! It’s £6.37 at Fwirl. Aw, these are so adorable. 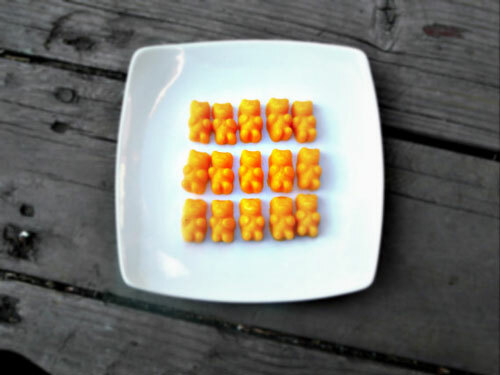 I wish they were actual gummy bears though, not just soap in the shape of them. There available for only $4 at FrostedCrossbones (awesome shop name). And even bacon jumps on the 50 Shades of Bad Jokes bandwagon. Try these at your own peril; the Amazon reviews about it are horrendous. Clothe your iPhone in style! 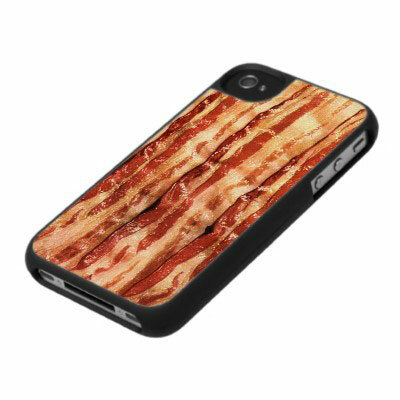 For $39.95 this bacon case can be yours! Seriously? This actually exists?!? You can get it on BaconLube.com (obviously) for $11.99. 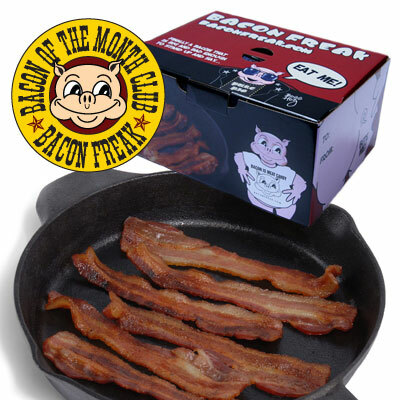 The ultimate bacon gift: the Bacon of The Month Club. Each month two pounds (= 0.907185 kg) of different kinds of bacon will be delivered at your doorstep. Awesome. They do a lot of flavours, like Cajun, Apple Cinnamon, Jalapeno, Honey BBQ, Maple, Brown Sugar, Vanilla Bourbon, Sun Dried Tomato, Pepper, and Hickory Smoked. 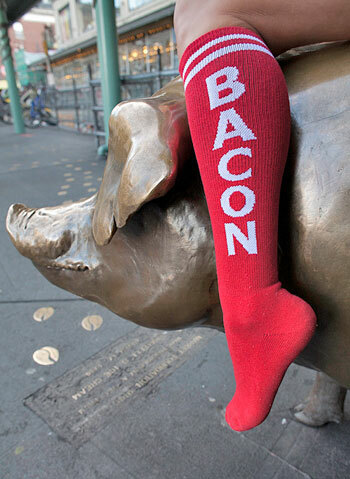 So bacon lovers would any of you be actually happy getting any of these bacon gifts for Christmas? Or is it just too much bacon?